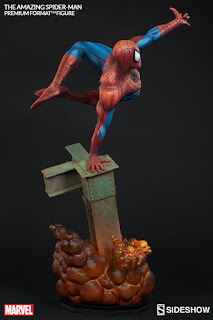 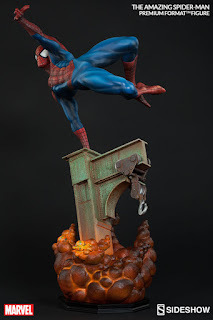 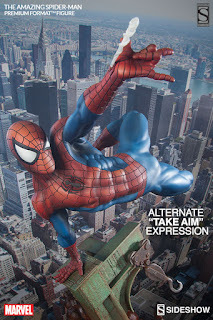 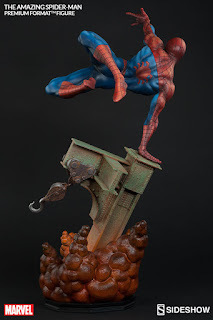 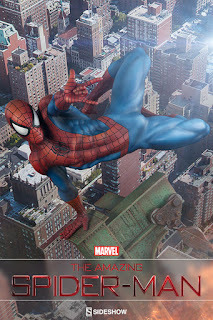 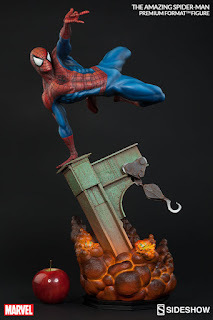 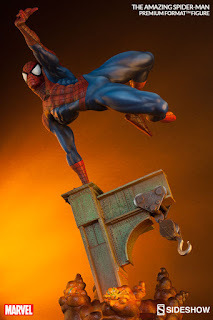 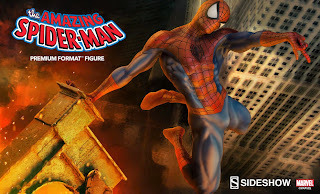 New SideShow Spider-Man PF with PreOrder link! 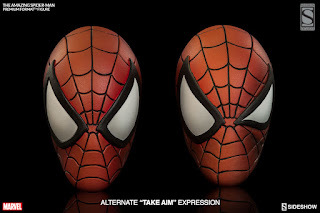 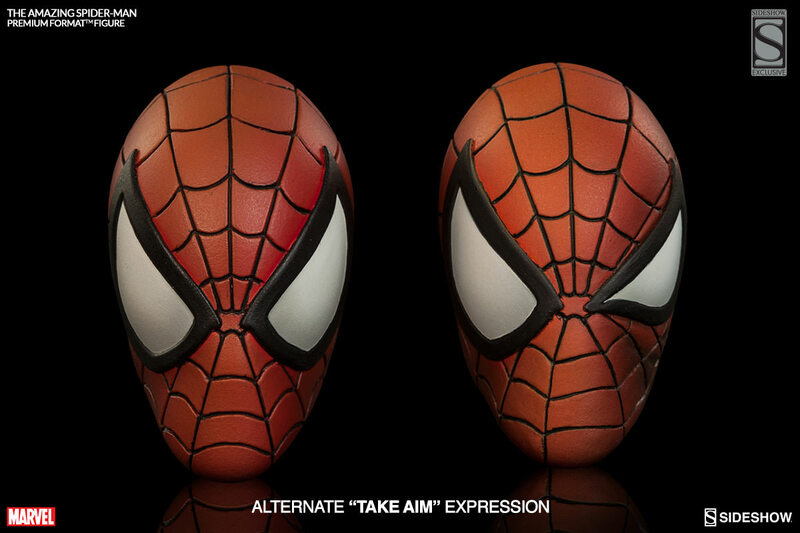 Exclusive version includes the alternate "Take Aim" expression head sculpt! 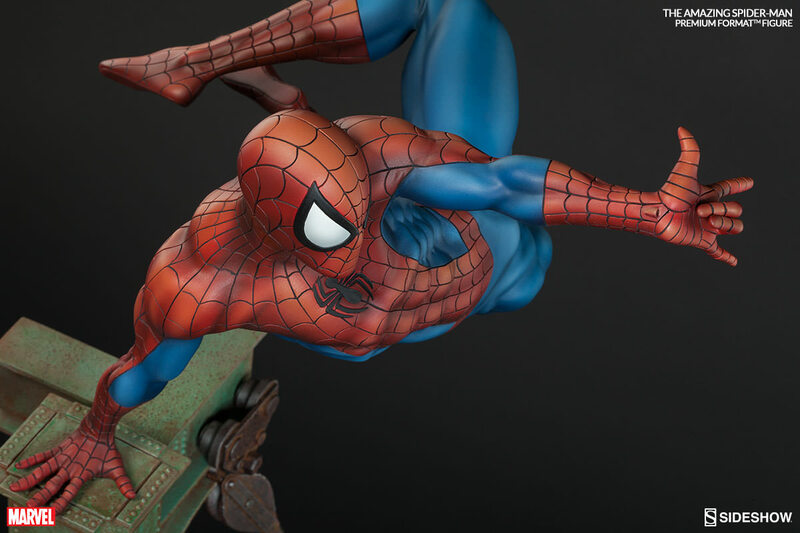 Preorder yours today from SideShow Collectibles! 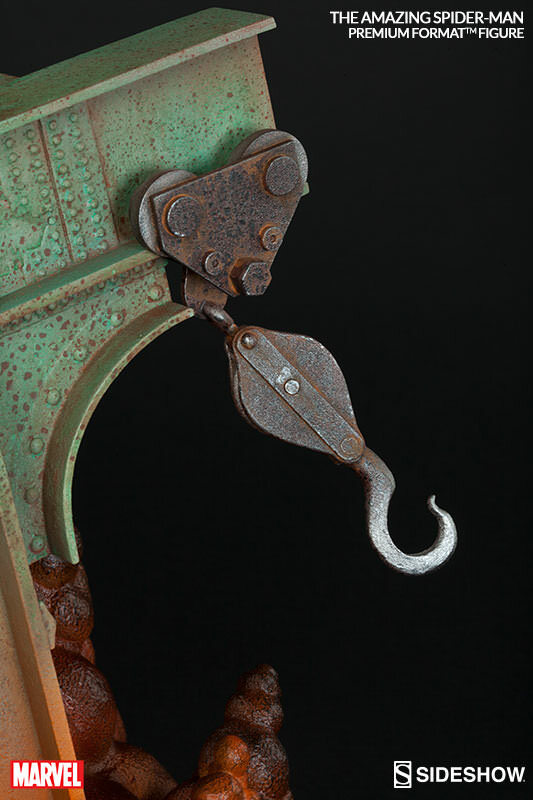 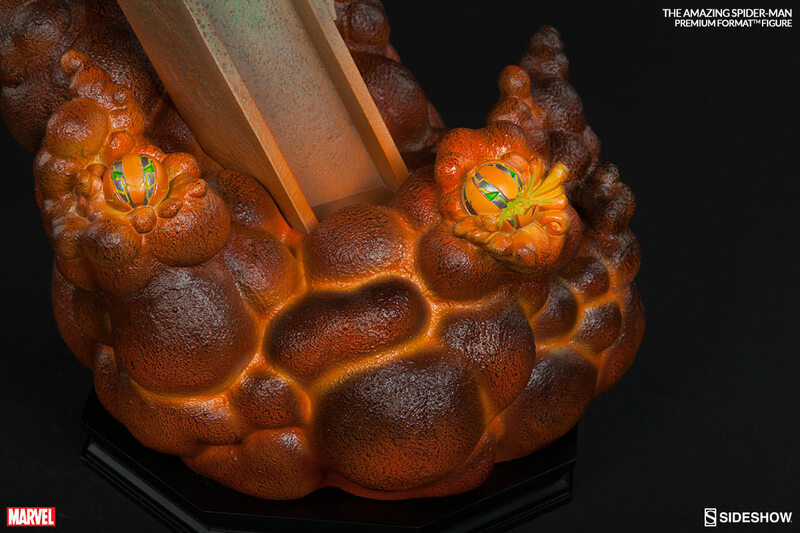 We had sneak peak provided by SideShow during Christmas 2014 but now we have clearer images! There’s never a dull moment for Peter Parker when he puts on his iconic red and blue costume to become the Amazing Spider-Man! 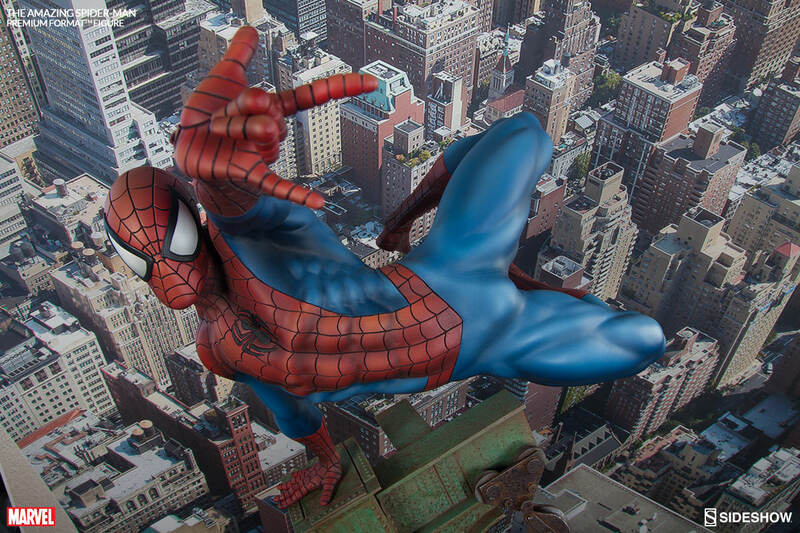 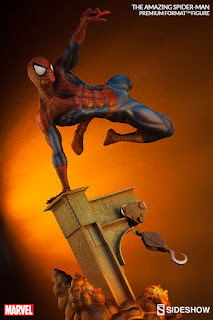 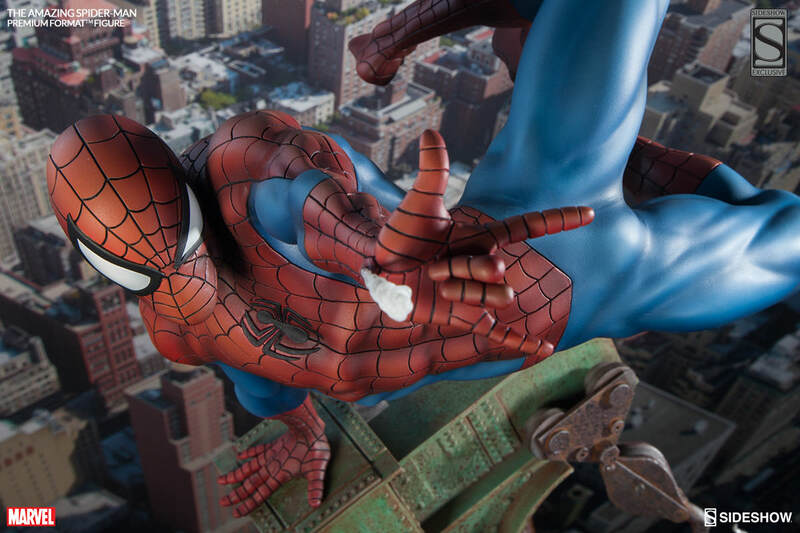 Everyone’s favorite high-flying, wise-cracking web-head is at it again – out to save the day in this fantastically sculpted gravity-defying composition. 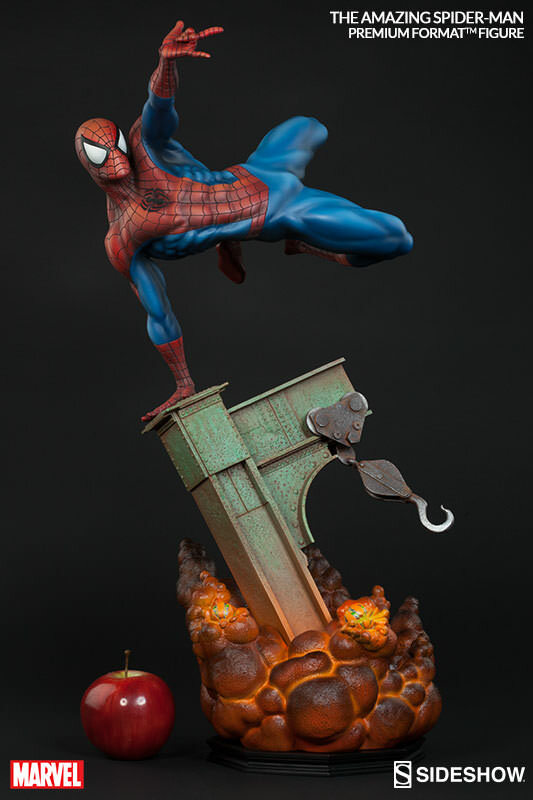 Captured just moments away from certain doom, the acrobatic hero effortlessly launches himself above Green Goblin’s explosive pumpkin bombs and out of harm’s way. Featuring two expressive swap out portraits, you can see his Spidey senses tingling as the sharp-eyed web-slinger locates his next target and takes aim. 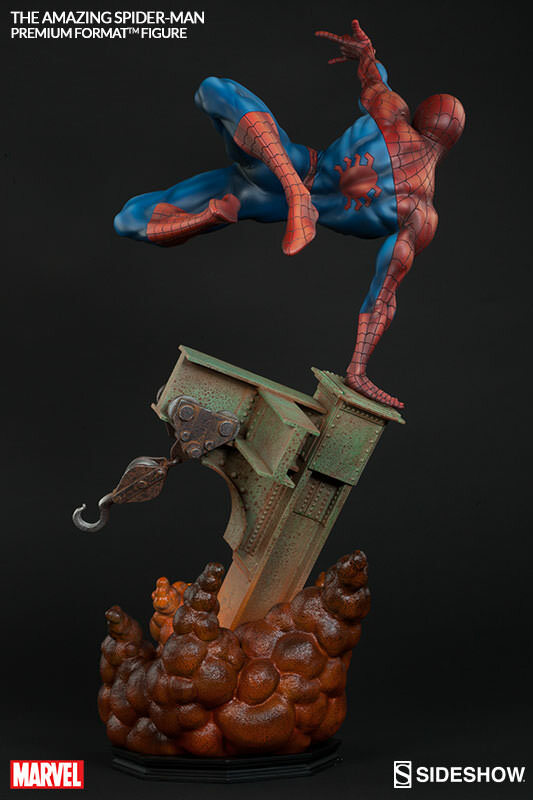 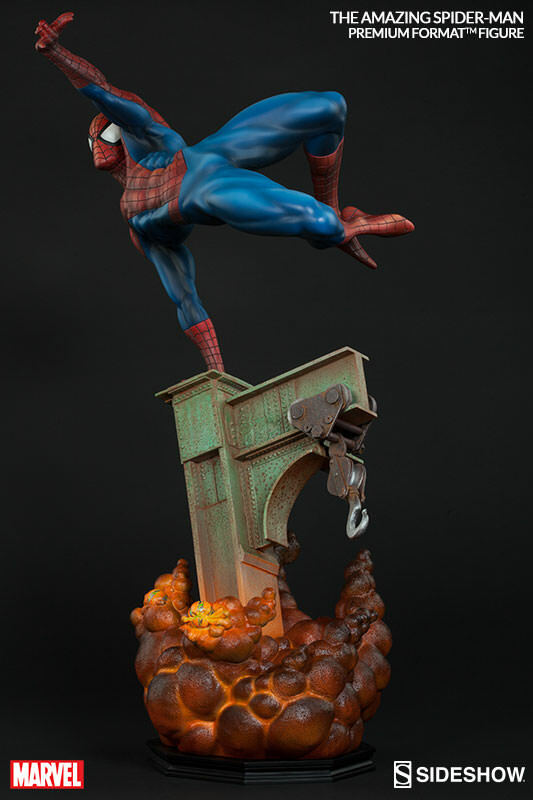 A stunning tribute to his action-packed comic book legacy, this is the ultimate must-have for fans of Spider-Man!